I haven't read all of To All the Boys I've Loved Before by Jenny Han, but I have read enough to want to squish Kitty, Lara Jean's baby sister, to pieces! She's snarky, feisty, adorable, not to mention that she was the one who'd sent Lara Jean's love letters to her crushes. But she'd did it so her big sis can be happy with someone and no longer be lonely. If one of my nieces did that, I'd pummel them to death first, but then I'd be understanding because they were just trying to help me out. 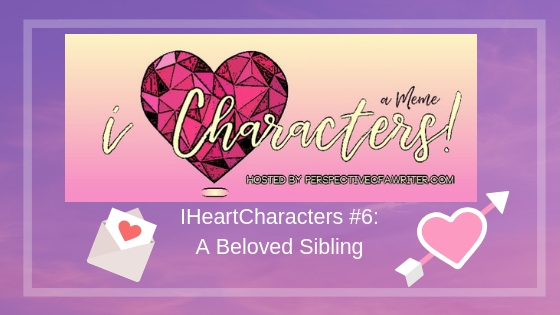 Who is your Beloved Sister in this week's IHeart Characters meme? Comment below!